“This I call to mind and therefore I have hope: Because of the Lord’s great love we are not consumed, for HIS compassions never fail” (Lamentations 3:21-22). Now that the FBI investigation has begun, what can we expect? Click here to find out. Please pray: 1 Thessalonians 5:17 says to, “Pray without ceasing.” Sen. Chuck Shumer (D-New York) says he will fight against this nomination. Well, thousands of women across the country are fighting for this nomination! We are standing our ground first and foremost through prayer. It is vital that we stay in prayer for all our legislators and pray for Judge Brett Kavanaugh. Pray for Sens. Harris and Feinstein by name. Pray for Brett Kavanaugh and his family by name, wife Ashley and daughters Liza and Martha. May the Lord draw close to all those involved. Pray that the schemes of the enemy will be uncovered and defeated. Call and email your U.S. senators. If you already did so a while back, call again. 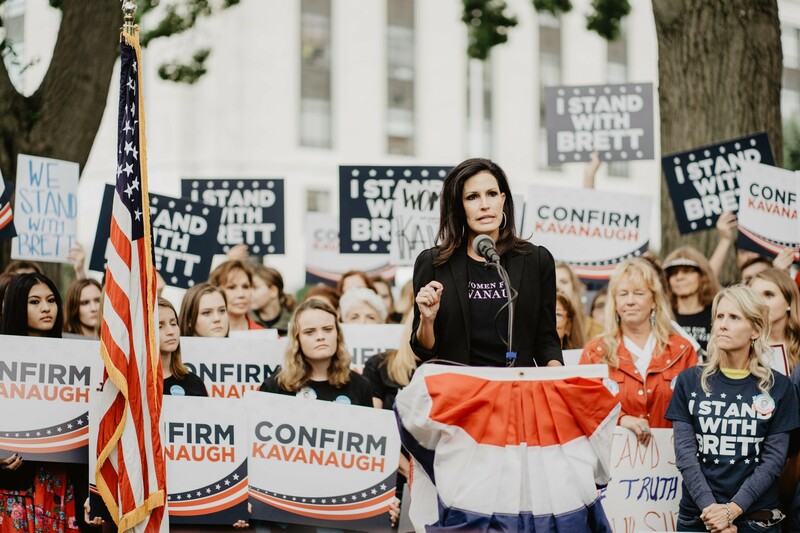 Let them know that as a member of Concerned Women for America of California you still stand with Judge Kavanaugh. Consider making several points. Click here for talking points. Our senators are getting countless kudos. Please respectfully let them know that you do not approve of their current actions. Spread the word to friends and family, both local and out-of-state, to please call and write their senators. Please know that one phone call = the influence of 1,000 voices. Together, we can make a difference in numbers. Click here for more information on this issue. As always, I am grateful for your dedication and boldness to stand for your faith. Let’s look forward to the Lord’s will being done.